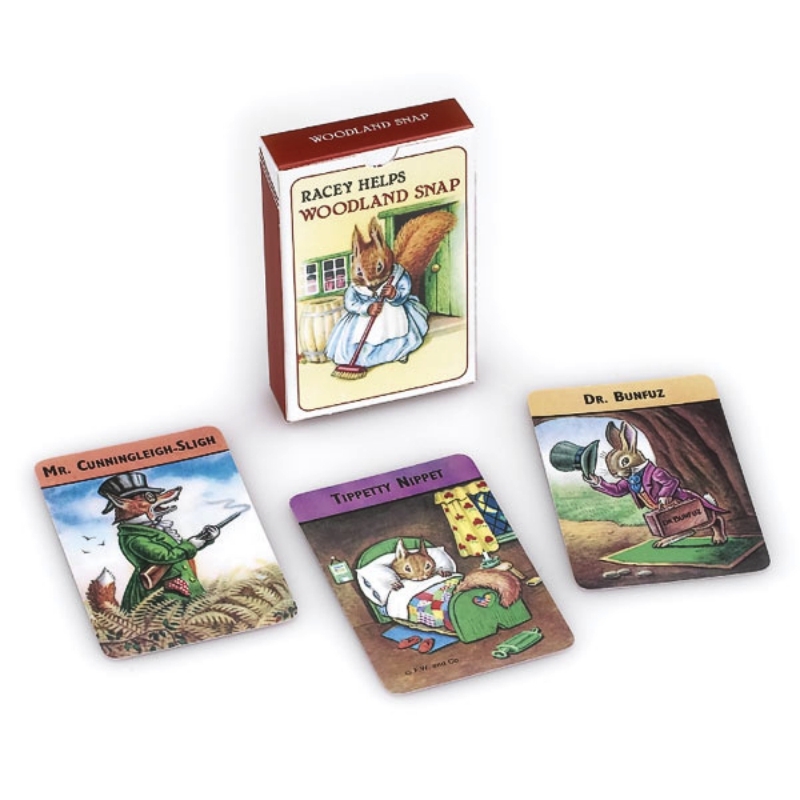 Children will love the charming illustrations in this traditional ‘Woodland Snap’ card game. Woodland Snap is played with a pack of 44 cards, consisting of 11 sets of four cards each. 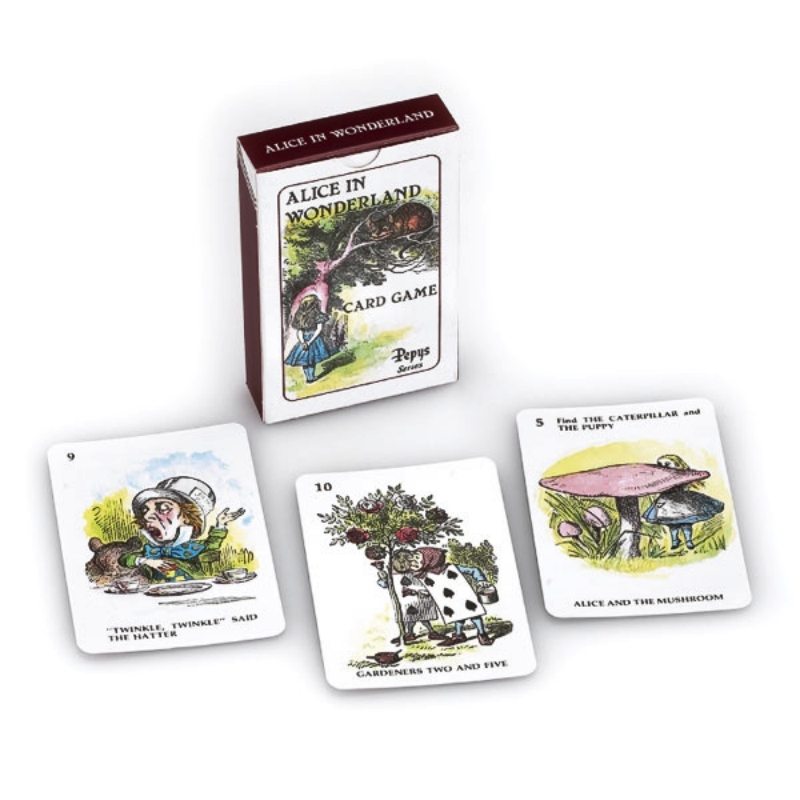 The cards are illustrated with “Woodland” characters by Racey Helps (1913-70) the famous children’s author and artist, and include mice, frogs, rabbits, squirrels, a fox, a mole, a sparrow and a hedgehog. When a card is played which is the same to one already exposed, the first player to call “SNAP” collects all the cards and so on until one player succeeds in winning the entire pack.